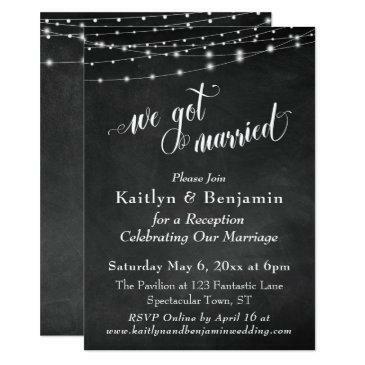 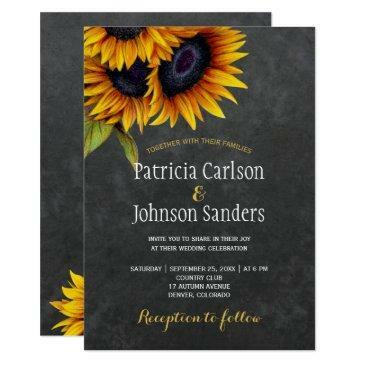 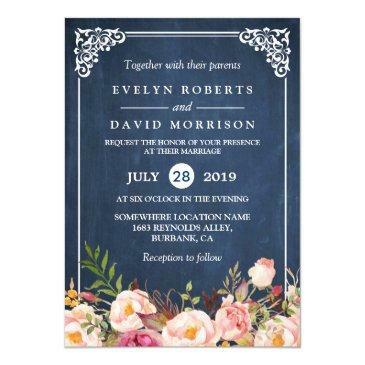 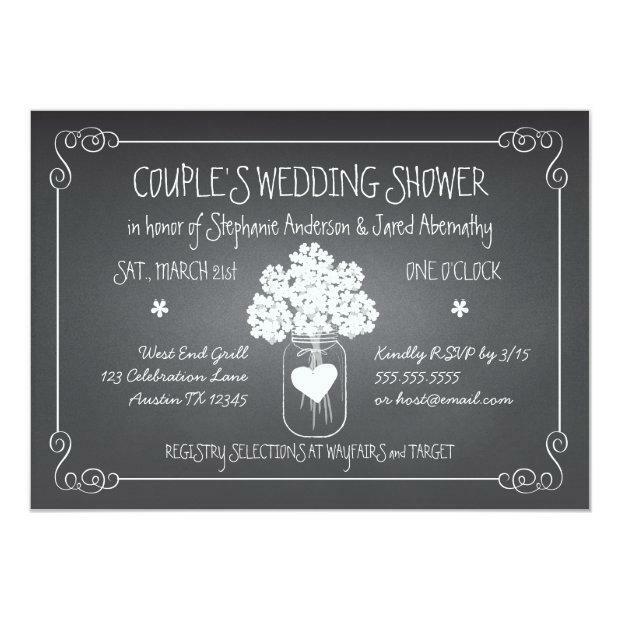 Popular chalkboard style wedding shower invitation is outlined by a lovely swirling scroll border and given a chalk effect. 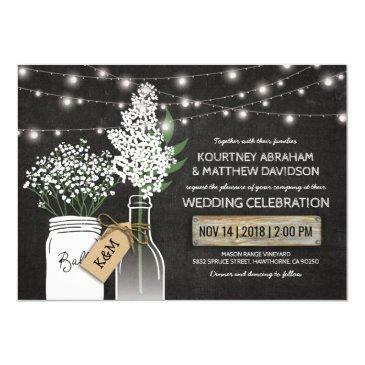 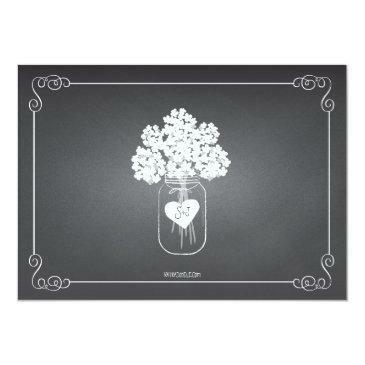 Original illustration of a rustic mason jar holding an hydrangea flower bouquet is accented with a white heart that holds the couple's initials on the back. 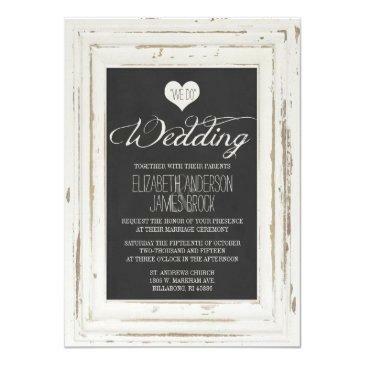 Room for all the important information on the front. Whimsical typography gives this couples celebration invitation a fun and casual vibe. 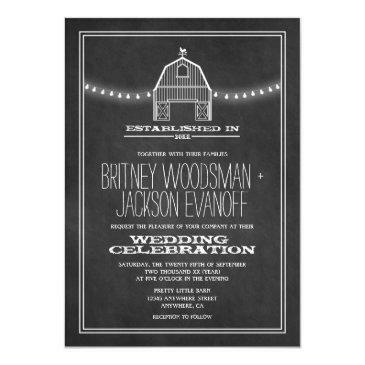 Coordinating items also available.